Jon recently directed Casualty’s ‘One’ – an entire episode in one shot, written by Paul Unwin. But he’s been writing and directing professionally since 2000 – his short film, The Love Doctor, for BBC Films/BBC2 was a success at international festivals. He went on to direct Holly Williams’ Reignited part of the of Coming Up series, Neil Biswas’s Second Generation for Channel 4, Neil Brand’s Stan for BBC and Frances Tuesday for ITV. He has gone on to work as a regular director on several long-running drama series including Waterloo Road, Holby and Casualty. 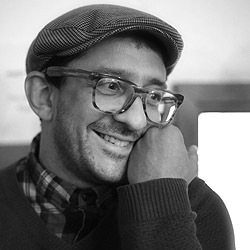 As a writer, Jon’s work includes the award winning radio play, 4.4.68 about the assassination of Martin Luther King, an adaptation of Hardy’s Two on a Tower, Time to Be Heard, a play about nuclear whistleblower Mordechai Vanunu and The Man Who Wore Sanitary Pads about social entrepreneur, Muruganantham. His most recent writing for TV includes Holby, Eastenders and The Coroner. He’s now part of the core Casualty writing team. He is currently developing a feature film Home and Two Tribes a six part crime thriller for BBC in house drama. Join six other writers and a seasoned showrunner for a whole day to write a show for a long running TV series. Welcome to the pressure cooker that is the ‘Writers Room’ at LondonSWF.